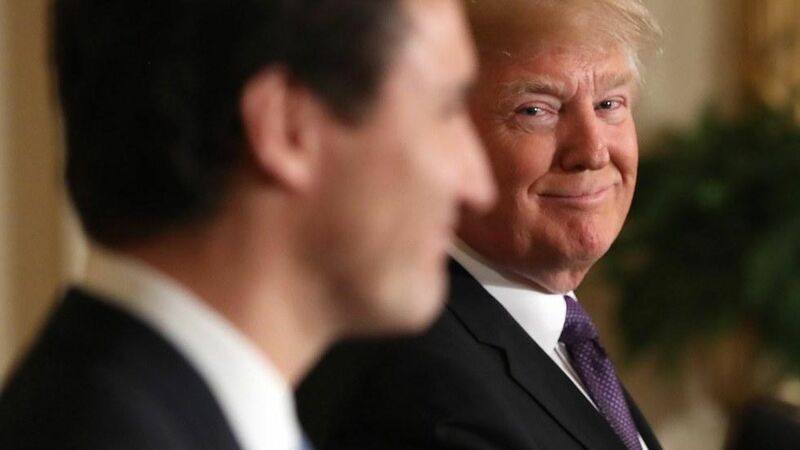 The Canadian National Post cites multiple government sources in saying White House staff reached out to the Canadian Prime Minister's office to get Justin Trudeau to call Trump and lobby for NAFTA in what the paper calls with some understatement an "unconventional diplomatic manoeuvre." Why it matters: Trump decided against scrapping NAFTA after talking to the leaders of Mexico and Canada. That Trump officials put together the Canadian call, as the Post puts it, "highlights the difficulties faced by governments all over the world when it comes to dealing with a president as volatile as Trump."